 Park Plaza Apartments is located in downtown Portland right off the I-405 and Highway 26. Travel quickly from place to place by utilizing the ten minute walk to the MAX. We are next to the Portland State University campus which makes it easy to enjoy the outdoors. Our apartments are just a few minutes away from shopping and dining. If you would like to schedule a tour to come see our apartments in Portland please call our on-site management team with the phone number at the bottom of our website. Don't wait; call us today.